I attach a photo of James Robinson. 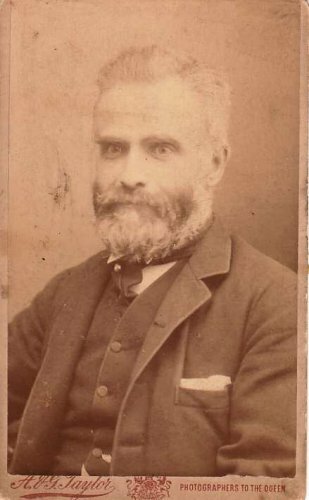 Born 30 June 1830 at Ashbourne. of him and his wife already on the Wirksworth Web.